Zenefits, the troubled startup that’s spent the last four months trying to turning itself around under new CEO David Sacks, is drastically reorganising the company. On Tuesday, Sacks announced a second round of layoffs, the closing of the sales office in Arizona, a plea for more employees to quit via a voluntary separation package, and a major overhaul of the whole structure of the company. 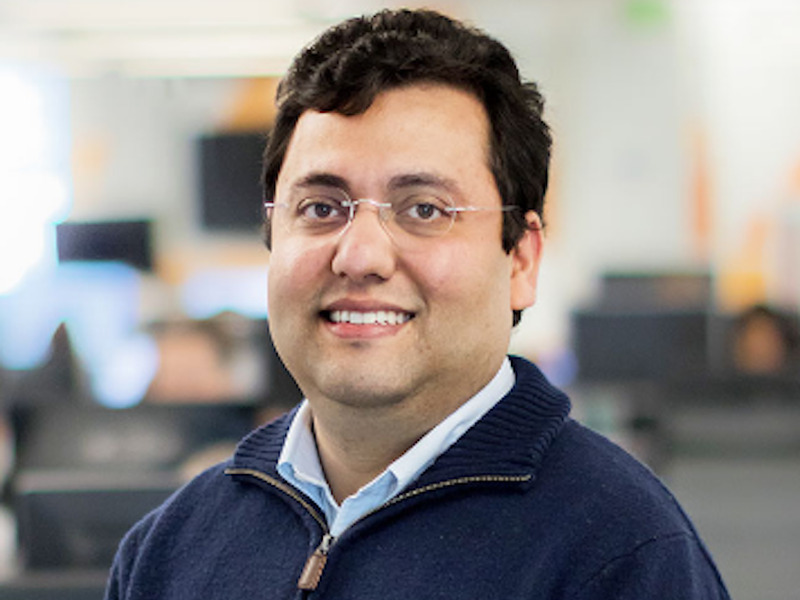 The company’s chief strategy officer, former McKinsey consultant Abhijeet Dwivedi, hired by Sacks to help him turn Zenefits around, also offered his views in an internal email to staffers. As we previously reported, it’s the story of a high-flying startup who’s “hypergrowth” mode ran amok, and who wound up in hot water in multiple states for selling insurance without being properly licensed, among other problems. Its founder CEO, Parker Conrad resigned in February, replaced by its famous “PayPal mafia member” COO, Sacks. He also encountered a bunch of rules that didn’t make sense, like not allowing some employees to talk to customers, even though they might be the best-informed person. When I started on the job as COO, I took several steps to better understand Zenefits. First, I talked to lots of customers. I wanted to understand why they loved us and have stuck with us. For those customers that left, why did they make that decision? What could we do differently? Second, I poured over hundreds of jira tickets, and spent countless hours analysing information flows to understand where we were excelling and where we were missing the mark. Lastly, I talked to the people on the front lines to understand their pain points and hear their suggestions. I have stolen shamelessly from those conversations. Everything we are doing today is based on the ideas that stemmed from my conversations with many of you. What I learned is that we are too siloed, we have too much complexity and we have an opportunity to create a more customer-centric way of operating. The goal of the changes we are making today in operations is to amplify what we do well, and obliterate our deficiencies. Over the last week, I have had discussions with many of you. I have been inspired by how deeply you care about our customers’ success and how much you want Zenefits to succeed. It has been motivating for me to see so many of you nod your heads when I lay out this vision. o We have too many departments. For example, I remember one customer case that got bounced between teams because no one was clear about who “owns” it. From now on, ownership and accountability must sit together. o When work gets passed around between highly specialised teams, some context gets lost in the transfer. o Some of our colleagues engaged in hyper-specialised jobs feel stuck. They can’t see the whole picture / the whole customer. o Instead of an assembly line where each person does one thing very well but doesn’t have ownership of the “whole car,” we are creating customer pods where craftswomen/men do the work end-to-end. We need to embrace the natural instinct to learn more and have a broad impact. Why? It’s great for the customer. o There are some truly remarkable individuals in Operations at all levels. We owe it to ourselves to invest in that talent. o Every now and then, we need to step back and ask – “Why is this done this way?” and change it if the answer doesn’t make sense anymore. o For example, we have rules about who can and cannot talk to the customer. These divisions were designed for a good reason – to ensure the customer hears from Zenefits via a single voice. However, in practice, the person who has the most knowledge often is not the same as the person talking to the customer. We must lead with knowledge and expertise. o We go to heroic lengths to do the right thing for the customers. It is truly inspirational. However, sometimes our silos can abstract us from our customers. A JIRA ticket = a customer that needs help. Too often, it can become “a work-item” that needs to be completed and when this happens, we become one step removed from the customer. o We think that by empowering more individuals to own customer issues end-to-end, we will bring every team closer to our customers. There is a lot of change for all of us. These changes mean that some of you will be leaving us. I sincerely regret that we have had to make those tough decisions. For many of you, especially teams within broker services, you will have to make a transition from doing one specific thing for the customer, to ensuring end-to-end customer success. To help you with this, a team of 15 “blackbelts” who are experts in their domains will help train you. Those of you that work on one part of “broker services” will have an opportunity to get licensed and go through BrokerU. For those of you who are unfamiliar, BrokerU is a comprehensive 2-month training program on the insurance industry and our insurance platform. It’s much loved, and produces what I like to call – “Ironman brokers” – i.e. smart individuals coupled with intense technology that excel as brokers. There are other benefits of going through BrokerU: doing so unlocks job opportunities within Zenefits and brings everyone closer to our core business. My hope is that these changes enable us to live our three core values: operate with integrity, put the customer first, make Zenefits a great place to work. I am beholden to you to make this vision come alive and to realise our full potential. We have 20,000 small businesses out there that want to see us succeed and that are counting on us to help them. Looking forward to the path ahead and to talking with all of you in the coming days.